Mark McGrath And Diablo Cody Are Having Babies. But Not With Each Other. 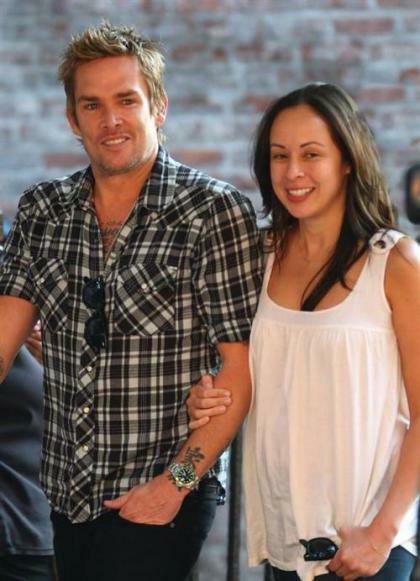 Singer and former entertainment news show host Mark McGrath, and his girlfriend of fifteen years Carin Kingsland are expecting twins – a girl and a boy – and they’re due next month! The couple is also engaged to be married. The twins, who were conceived via in vitro fertilization, have already had a profound affect on the Sugar Ray frontman. Like many first time parents, he admits that he and Carin are also nervous about what lies ahead. As they prepare for their new arrivals, the couple is also busy planning a wedding. In related celebrity pregnancy news, writer Diablo Cody confirmed via Twitter today that she’s pregnant. It’s also being reported that she recently married a non-celebrity guy in a secret ceremony. 50 queries in 1.659 seconds.